I enjoyed this small book as much as the first two. 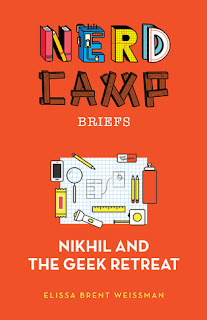 Nikhil is looking forward to weekend camp at the Center for Gifted Enrichment, with one exception. His younger sister Monishah will be going with him. He has no choice. If things don't work out and his sister gets into trouble then he won't be able to go to summer camp. He will be forced to stay at home and babysit his sister. The problem is that his sister is constantly in trouble. She does crazy things such as sliding down the stairs on her duvet cover. 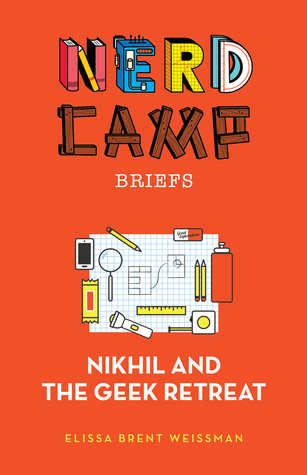 Nikhil enlists the help of his camp friends to keep an eye on his sister. Things take a different turn and Nikhil learns that he and his "crazy" sister aren't that different after all. This was a wonderful book. You could feel the tension Nikhil felt trying to make sure his sister didn't get them kicked out. This is a very short and quick read yet is so full of adventure. My students will love this one as much as they loved the first two. I can't wait to tell them about it.